The contrast of disaffection and emotion on their latest EP sets Crim3s apart—it’s honest, touching you in strange ways, giving cold comfort like a record pressed in the Black Lodge, says Daniel Jones. If you’re a music genreist, blogger, or just on a ‘dark‘ tip in general, you probably know about the much-maligned witch house. You know, the stuff with the triangles and crosses and a dozen articles expounding on the unGooglebility of it all? Yeah, that didn’t really end up so well. As with many underground genres, the inclusion of a definitive sound as well as an overused and inauthentic attachment to occult aesthetics spelled (heh) the end of the mini-movement almost as soon as it began. Those still involved, be it peripherally, erroneously or otherwise, generally shunned the name, considering it a tag for trendy laziness—not without reason. Yet the sound and vibe of it continue to exist and evolve in a variety of different sources even as music writers struggle to pin the idea down (I’m slapping my own hands even as I type). Crystal Castles, for example, draped the shroud over their recent LP III. It was probably the best album they’ve ever made, possibly because it felt so inspired by London-based co-conspirators and friends Crim3s, whose latest EP Stay Ugly is also a harshly searing combination of blown-out electronics and harrowing vocals. The difference being that Stay Ugly also feels more honest. “Ugly” is an apt description for the five tracks here, which seem to revel in alienation even as the beautiful ache of need and hope seeps through. Sadie Pinn’s voice often hides below the throbbing bass, emerging in sub-decipherable gasps and shrieks. While the vibe hasn’t changed much since 2012’s Crim3s EP, the production feels fuller, and Pinn never more sure of herself. It’s hard not to be swept away when she wails, “I miss you! I need you here!” on “DOSE”, sounding only moments away from a breakdown. It’s this contrast of disaffection and emotion that truly sets Crim3s apart—it’s honest, touching you in strange ways, giving cold comfort like a record pressed in the Black Lodge. There is hope here, though it struggles thin and weak beneath the thickly-spread layer of garmonbozia. “Stay Ugly” plays with the idea of being caught between emotional states—“Keep your soul/Burn all hate/Take, plead and cry with the saints”—while the crystallized rave bounce of closer “stress” finds Pinn’s throat sounding ready to split in ecstatic agony. There’s no escape from labels; it’s simply human nature to ascribe roles and names to ideas. Whether it’s accurate or not often depends on perception, and even more often makes little difference. To my ears, the witchy influences here are obvious, but the people making it (and this is the important part) are pure punk in the truest sense, possessed of a strong DIY spirit and a no-fucks-given attitude. Ugliness is antithesis to mainstream society—whatever ideals of kindness and acceptance society may espouse on the surface, in practice it shuns the aesthetically “unpleasant” in favor of whatever happens to be beautiful to the eyes and ears of the masses. 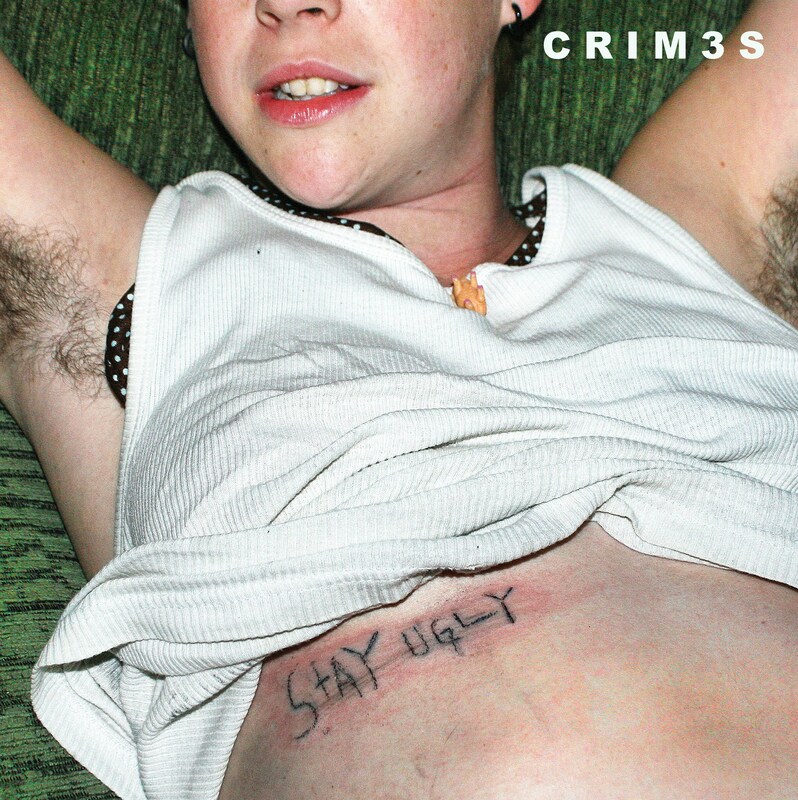 Whatever you chose to label them, Stay Ugly proves that Crim3s go beyond trends and names. This is a soul laid bare, stripped raw and given voice. One has only to listen. Stay Ugly is out now via Crim3s’ Bandcamp. Stream the full EP below.